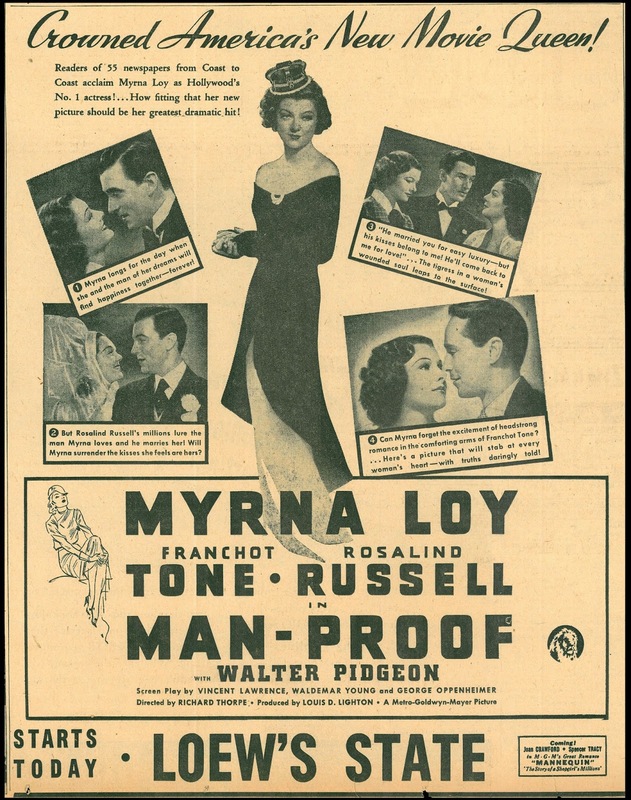 And it's one of the rare vehicles where Loy was top-billed, others include "Third Finger, Left Hand," where she does a terrific job with a comedic, exaggerated Brooklyn accent). 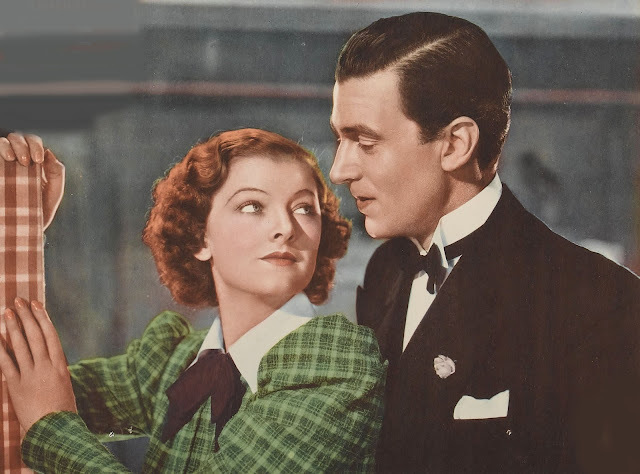 As much as I adore Myrna (she trails only Lombard on my all-time classic actresses list), she essentially was a complementary star, at her best when reacting to a leading male performer. I suppose the equivalent among actors was Fred MacMurray, who seemed at his best when paired with a dynamic lead actress such as Carole, Claudette Colbert or Barbara Stanwyck. 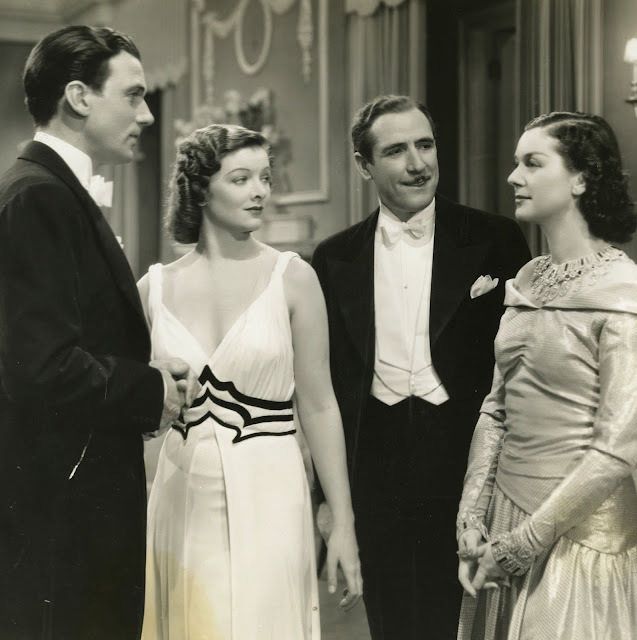 One wonders who'd have taken the initiative if Myrna and Fred had ever been paired as a movie's leads. I noticed that TCM is featuring Fred MacMurray as "Star Of The Month" for January (2016), with a nice group of pre-49 Paramounts, plus some Universals, that haven't been around for decades.